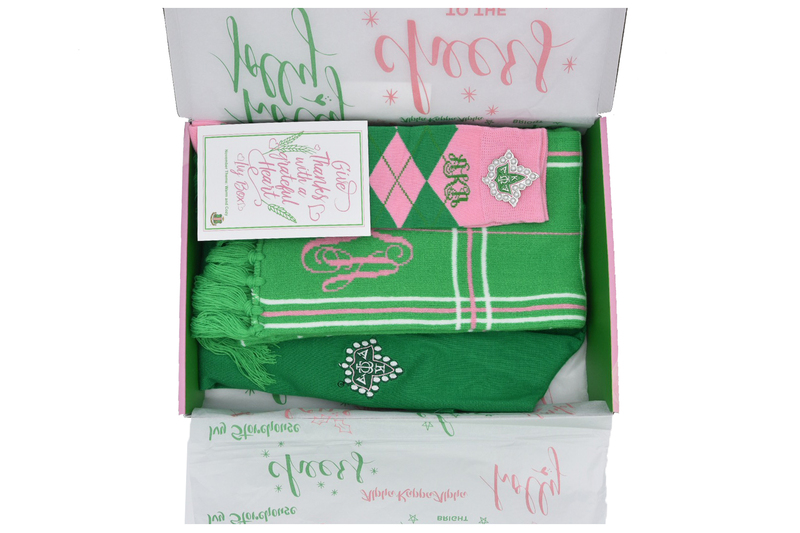 This purchase includes a green 20 pearls sweater, striped socks and scarf. Please note: Actual Ivy Box not included, you will receive items in individual packaging. All sales are final; no refunds or exchanges are accepted.